Sara and Stephanie were married at Glen Echo Park in Columbus on what started as a beautifully sunny morning. By the time everyone had lined up to walk the aisle, however, the rain started to pour. 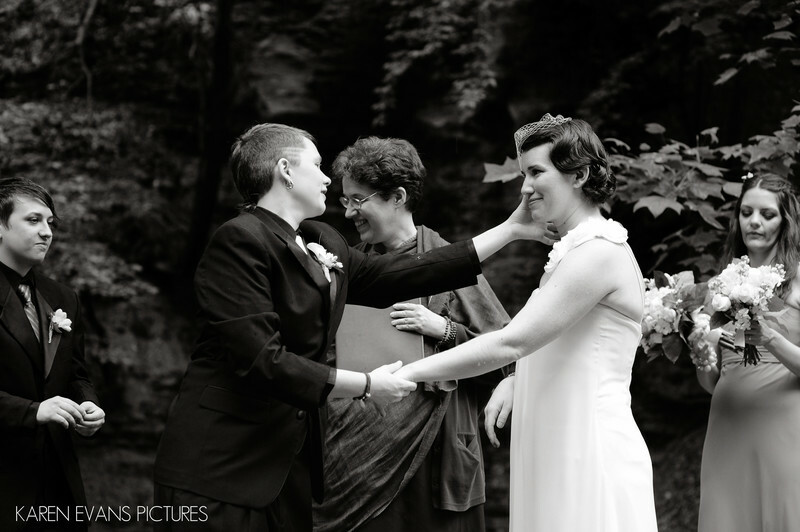 This beautiful moment is of Stephanie wiping the rain from Sara's face.Keywords: lgbt (135), outdoor wedding (249).